Take it to the next level! IdealLean Burner is formulated to support healthy weight loss and give you all the energy you need to pursue your fitness goals so you can always benefit from those post-workout endorphins, even when you’ve given it your all. IdealLean Burner is specially formulated for active women, with natural caffeine from Green Coffee Bean, Thermodiamine™, plus Green Tea Extract to provide antioxidants. It also contains BioPerine® (Black Pepper Extract), Theobrimine, and CLA (conjugated linoleic acid), all ingredients included to support your body composition goals. To get the best results, you still need to work out hard, work out smart, and get your nutrition right. 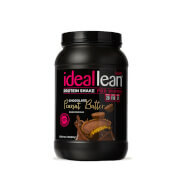 But IdealLean Burner can give you that extra boost in focus to help you reach your goals! 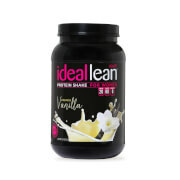 Gives me that extra little boost I need to get over that hump when trying to loose weight. Just disappointing that it is out of stock too often. 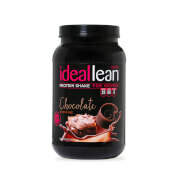 Great product, didnt work well for me, I wasnt eating properly. When I used it the first time I seen results. I really like the results I have gotten by taking this fat burner. I have been using this product for a few days now and I already love it! It really gives me the energy that I need and I do not get jittery (which usually happens when I use an energy supplement). I highly recommend this product! It also curbs my appetite and which allows me to stay on track toward my fitness goal! Don't see any changes - been taking this twice daily for a month. This product seemed to give me some extra energy, but also made me dehydrated. Be sure to follow instructions and drink with 8 oz of water plus. Love this fat burner. I should have ordered the bigger bottle. I usually don't do good with burners, but this one worked great. I love the way i felt with it. Had energy and sweated a lot during my work outs. I recommend!